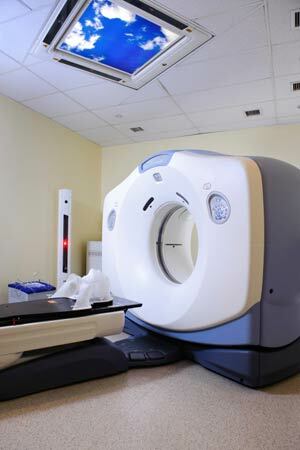 Bringing a new ray of hope to the millions of cancer patients living in the country, a new technology which the delivers high doses of radiation into the human body with accuracy has been introduced in New Delhi. This technology will not only help the patients to fight with cancer but also with minimum side effects. The robotic technology named as the Cyberknife Robotic Radiosurgery System is an advanced way of delivering the high accuracy radiotherapy for treatment of tumours in the body. This technology provides the minimum risk of side effects as compared to the other radiotherapy procedures and also delivers the doses with great accuracy in one to five sessions, unlike other conventional radiotherapy methods which require around 30-40 sessions. Dr. P.K Julka, Head of Oncology at the All India Institute of Medical Sciences, said: "This is another form of Stereotactic Body Radiation Therapy (SBRT). Through this technique, we can give high dose radiation at specified locations and spare the normal tissues. Dr. Julka also added that this method is most effective when the disease is detected in the early stages. Though this kind of technology is new in Delhi, but it is being used in Bangalore and Chennai for the last six years. According to a latest Lancet study published in 2012, nearly 556,400 people across India were killed necause of cancer. The study also showed that in India, oral cancer is the most common form of cancer in men, followed by the lung cancer. In women, cervical cancer is most common, followed by breast cancer. Doctors also believe that many cancers can be prevented by restricting the exposure to common risk factors, such as tobacco smoke.